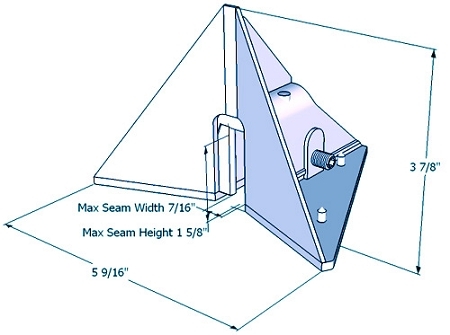 Home>Snow Guards > Snow Guard Sno Shield Rib Guard 1 5/8"
The Sno Shield Rib Guard 1 is a UV stabilized clear polycarbonate clamp-on snow guard that uses two stainless steel set screws to attach to a standing seam rib on mental roofs. It allows for seams up to 7/16" in width and 1" to 1 5/8" in height; for roof seams higher than 1 5/8", switch to the Rib Guard 2. This snow stop will not penetrate the roof. 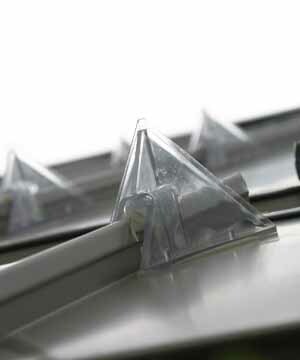 Snow guards are crucial when it comes to keeping snow and ice from sliding off the roof. 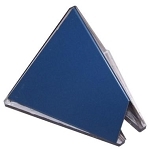 The Rib Guard is a polycarbonate clamp on snow guard / break which stops snow from sliding down and off standing seam metal roofs. 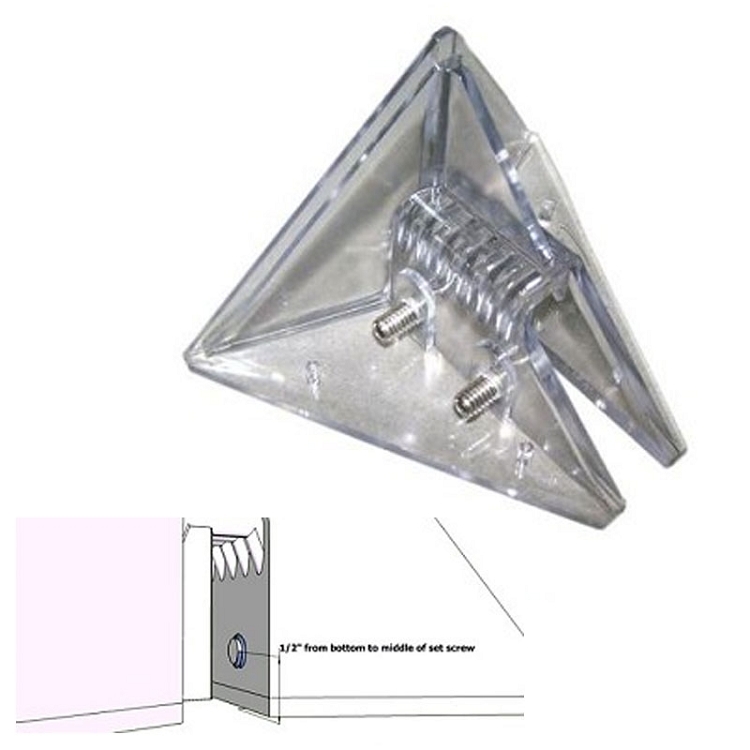 The Rib Guard was designed to clamp onto a seam or rib of a standing seam metal roof using two stainless steel set screws, which pinch the rib/seam between the two set screws and the two off setting internal cleats which make it an ideal snow guard to be installed any time of year. Besides looking clean cut and aesthetically pleasing for any residential or commercial roofing project, Sno Shield's Rib Guard snow guard is an efficient, economical way to ensure snow stays where is falls, on your roof, until it can melt and come off in a manageable time frame. When snow falls off the roof this is known as a rooftop avalanche. Those little things people see on the roof that are keeping the snow on the roof are known as snow guards. As metal roofs become more popular so do snow guards. Are snow guards necessary for your roof? YES!! People are hurt or killed, gutters are ripped off, and outside appliances are damaged such as HVAC units, patios, decks, barbecue grills, etc. If large quantities of snow fall from the roof doors, driveways / garages and even windows are blocked. 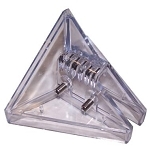 This product is equal to other snow retention products known as: snow stops, snow jacks (snow jax), snow blox, snow birds, snow shoes, snow cleats, snow brakes, snow trapper, clamp-on snow guards, seam mount snow guard, standing seam clamp, pad-style snow guard, metal roof clips, metal roof clamps, metal roof seam clamp, roof clamp, clamp-to-seam bracket, snow fence and snow rail. For more information, see the manufacturer's website here. 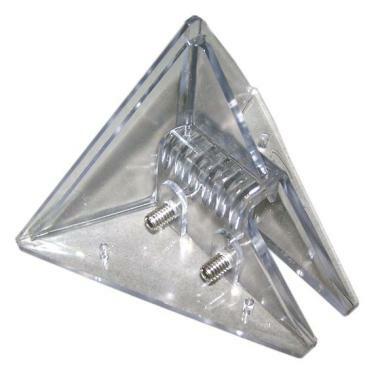 Click here to watch a You Tube video of how to attach this product to your roof. I've seen these advertised on Roof Things for a couple years now, but never tried them. I typically install adhesive snow guards, but with the cold I tried these for a roof in Kearney, MO. I will never again use adhesives if I can help it. Awesome product! LOVE the product. It attached quickly and has worked well. I love that is does not need to penetrate the roof and can be moved easily if needed. 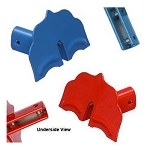 Ordered these for the metal roofing on our garage and front of the house. Very easy to install and we have already had 2 snowfalls and are happy to report that these work brilliantly! Reasonably priced as well. The rib guard did not match up to our roof ribs so I predrilled the guards and mounted them between the ribs. I had a great clear sealer so leakage wasn't a problem. We just had our first noticeable snow and the guards held held the snow perfectly. I am very impressed with these but I should have measured the ribs earlier. Q: What is the recommended spacing for this snow guard? A: Place one on every seam.